To help kids learn to tackle challenges independently through learning to code. Campers in 2- and 4-week sessions go on field trips to tech companies in NYC. Previous field trips have been to Google, Facebook, Microsoft, LinkedIn, Etsy, and Buzzfeed! At The Coding Space, we are passionate about creating a space for campers to dream big and see how technology can be a tool for changing the world. One of our main programs at camp is the Code for Change Challenge. Code for Change is a weeklong Design-Thinking sprint for campers to create MVPs (Minimum Viable Products) of a technology solution to a global problem. This summer we are applying these creative problem-solving skills to a new context: campers will be learning hardware! Over our 2-week sessions, campers will have the opportunity to build, code, and create with Arduino's during the afternoon STEM activity. How old are campers? 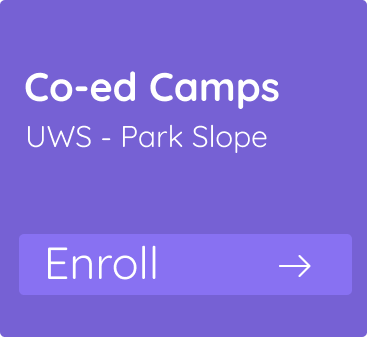 Ages 8-14 for the camp program. 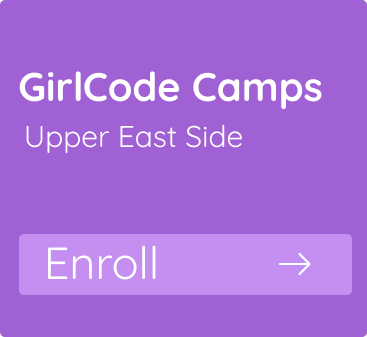 14+ campers can participate in the high school program. ​If you have any other questions just email ofelia@thecodingspace.com or call (929) 352-1272.